With a self-described ‘plain vanilla’ upbringing in the suburbs of D.C. where at least one parent of each of his friends was a lawyer, it was almost set in scripture that Marc would follow a career in the corporate world. After college Marc founded a telecommunications company with friends which led him to London for a few years. Eventually he acknowledged his passion did not lie in technology and sought to rediscover his passions through an MBA at Colombia University. 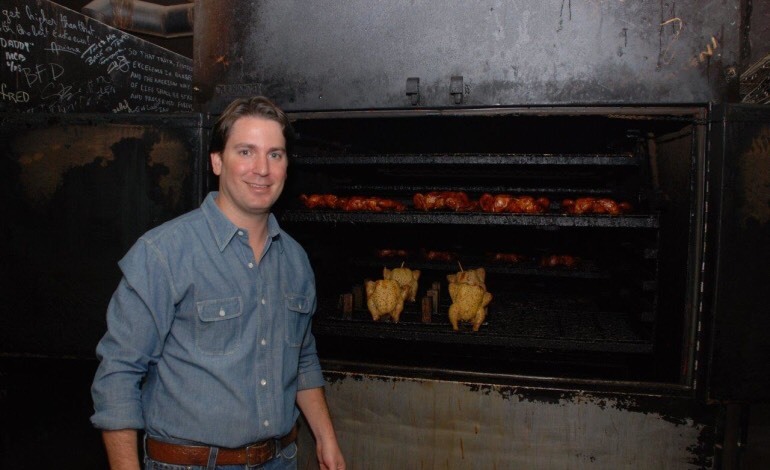 His MBA led to the business plan for Hill Country Barbecue which tied in his love for food, hospitality and nostalgia for Texas Barbecue during his childhood. 10 years later the Hill Country Hospitality Group are celebrating their 10 year anniversary and now have six locations including three Hill Country Chicken Spaces throughout New York and D.C. Chefs food Hill Country Barbecue Hill Country Chicken Hill Country Hospitality hospitality industry Marc Glosserman Patrick McAndrew Restaurants Why Food?